Smynthurodes are rather small aphids, the apterae of which have two distinctive characteristics: (a) The second segment of the antenna is distinctly longer than the first, being similar in length to the third segment. (b) The primary rhinaria on the last two segments have thick, hairless, sclerotized rims. The alatae have the forewing veins dark-bordered, and the third antennal segment has numerous hairs, most of which are much longer than basal diameter of that segment. There is only one species in the genus, Smynthurodes betae. It produces small midrib galls (for fundatrix) or larger leaf-edge galls (for her offspring) on Pistacia in the Mediterranean region, and as far east as Pakistan. The parthenogenetic generations feed on the roots of many dicotyledonous plants. 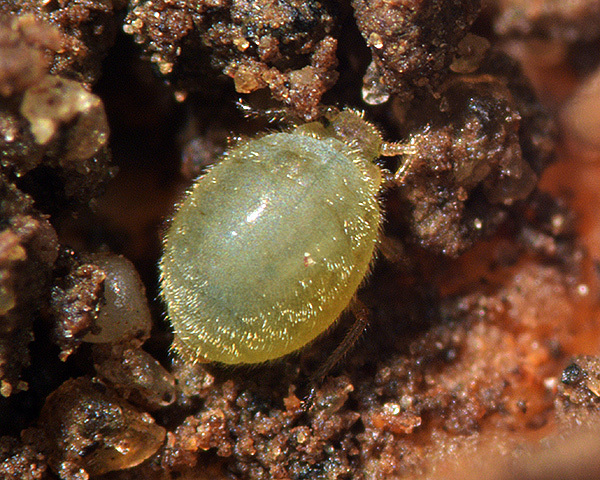 Alates of Smynthurodes betae have dark transverse bars on the abdominal tergites. 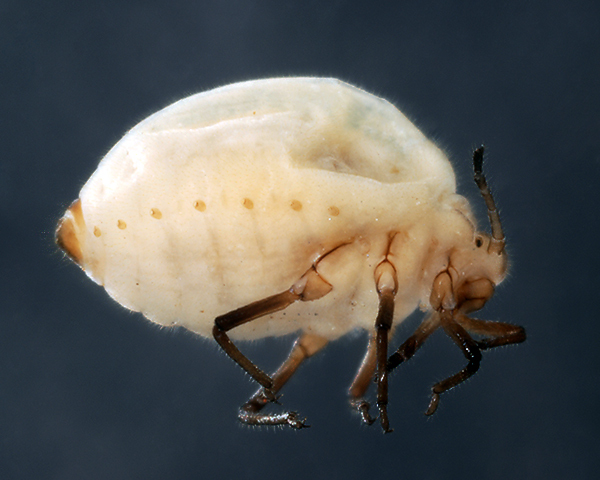 Where the primary host (Pistacia) is found, the bean root aphid goes through its full life cycle, host alternating from Pistacia to numerous secondary hosts, especially in the Asteraceae, Fabaceae and Solenaceae. Smynthurodes betae can also persist on its secondary hosts as anholocyclic parthenogenetic populations. It commonly overwinters in ant's nests. Anholocyclic parthenogenetic populations of Smynthurodes betae are found in most countries of the world, except the coldest parts. It goes through its full life cycle in North Africa, Israel, Syria, Iran, southern Crimea, Transcaucasus and Pakistan.